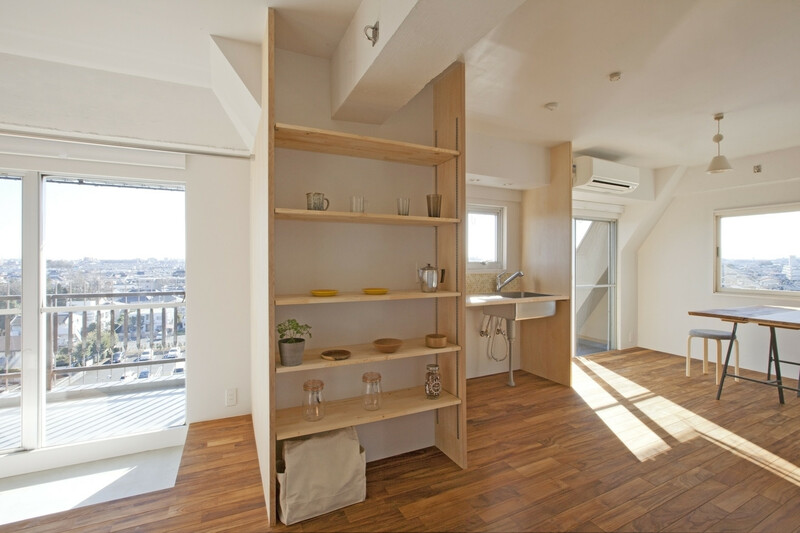 A tiny apartment in Nishitokyo-shi, Tokyo was in serious need of a makeover. 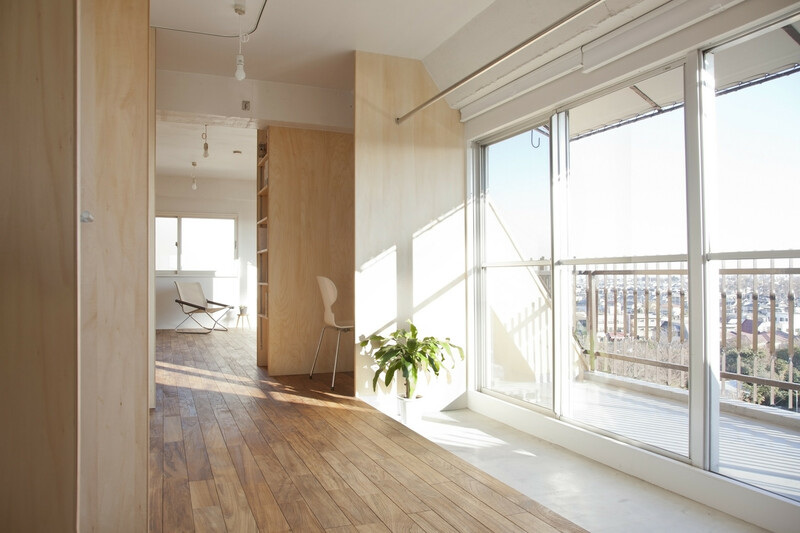 Its 50 square meter (164 square feet) area was filled with plenty of sunshine, but the flow of the home seemed wrong: a bedroom on one end, kitchen/dining room in the middle, and Japanese room at the other end. 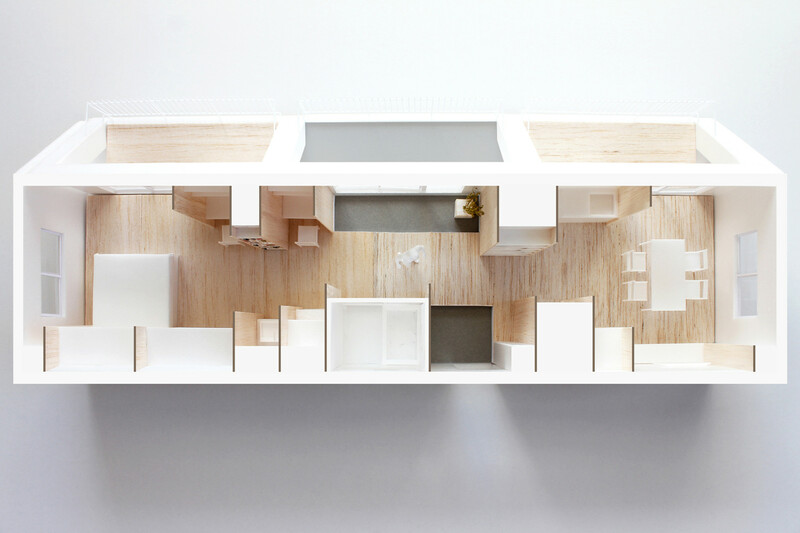 Architectural design firm Camp Design, Inc. rearranged the Wing Wall House’s functions and added a series of wood partitions to create a series of segments and mini-rooms. It is truly amazing how a simple reprogramming of an existing space can transform the entire look and feel of the home, making it feel much larger than it is. 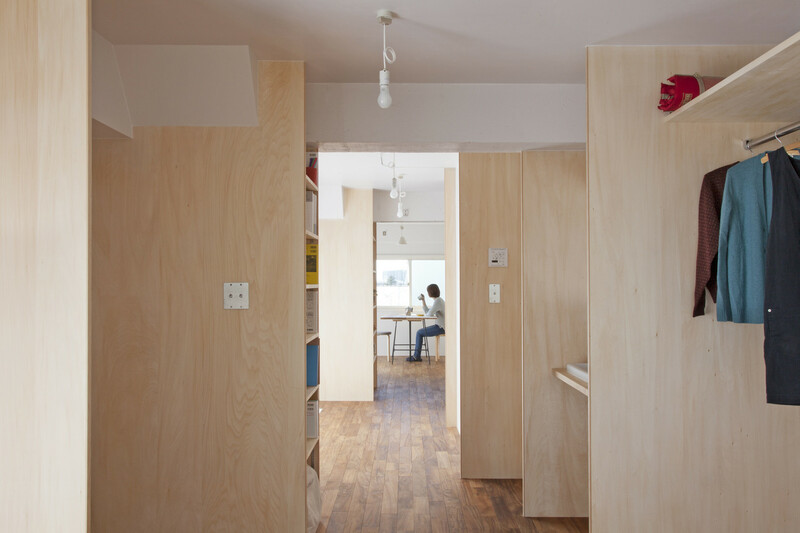 The wooden partitions create visual separations of space without crowding the apartment or making the already-tiny space seem smaller. Natural light from large windows and a large sliding glass balcony door fill the home with sunshine and a perceived sense of space. Wooden shelving units blend in with the added wooden partitions to create a small storage space in the kitchen area. 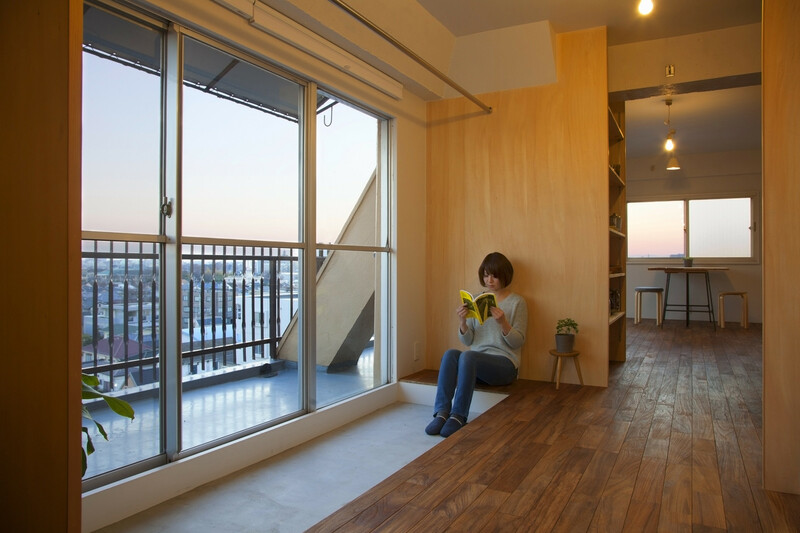 A study nook sits to one side of the balcony while a doma, a traditional Japanese raised area, occupies the other side.